Pioneers in the industry, we offer sheetfed offset machines, sheetfed machine, offset press, 2 color offset machines, 3 color offset color printing machine and 4 color offset machines from India. 220v / 1 Ph. / 50 Hz. Offset provides various options to printers for printing of Calendar, books, stationary, Non-woven Bags, Non-Woven Fabric sheets similar applications. This is easy to run highly productive. Fairprint Offset are widely appreciated and recognized for their high quality, reliability, efficiency and economy in India and Worldwide. This provides Best Value for Money to offset printers entering into offset printing work with low budget. 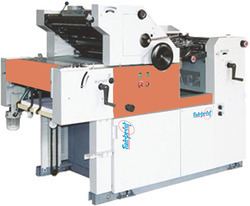 We are leading manufacturers, suppliers and exporters of Multi Color Sheet fed Offset Printing Machines in India. Our product range consists of Sheetfed Offset Printing presses Sheetfed Printing Machines ( in single, both side, 2C Satellite, double, 3 4 color) which gives enormous flexibility to print sheets/ non-woven bags of small big sizes as per the requirements. 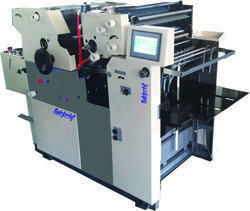 Single Color Non-Woven Bag Printing Machine considers various changing needs for offset printers. 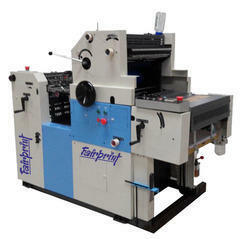 Sheet fed Offset is easy to operate having user friendly features and have short changeover time. Fairprint 2 Color Offset is a Break thru’ Innovative Design to deliver Latent needs of Global Consumers for double color printing at very low investment. 2 Color Offset is compact design and consumes low power as well. This two Color Offset Sheet Fed is good for printing calendar, books, stationary, 2 Color Non-woven Bags, 2 Color Non-Woven Fabric sheets similar applications. This gives good printing registration. This is easy to run highly productive. 3 Color Offset by Fairprint are the perfect solution for high quality, three color multi-color, short and medium run jobs. 3 Color Offset is compact design and energy efficient. This 3 Color Offset is economical for printing 3 Color Non-woven Bags, 3 Color Non-Woven Fabric sheets paper etc. 4 Color Offset is Break thru’ Innovative Design to deliver Latent needs of worldwide Consumers for multi-color printing at optimal investment. This 4 Color Offset is good for printing calendar, books, stationary, four Color Non-woven Bags, four Color Non-Woven Fabric sheets similar applications. This gives good printing registration and excellent printing. This is easy to run highly productive. 415v / 3 Ph. / 50 Hz. 4 Color Offset Printing Machine is Break thru’ Innovative Design to deliver Latent needs of worldwide Consumers for multi-color printing at optimal investment. This 4 Color Offset Printing Machine is good for printing calendar, books, stationary, four Color Non-woven Bags, four Color Non-Woven Fabric sheets similar applications. This gives good printing registration and excellent printing. This is easy to run highly productive. 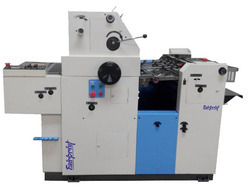 Sheetfed Offset Printing Machine provides various options to printers for printing of Calendar, books, stationary, Non-woven Bags, Non-Woven Fabric sheets similar applications. This is easy to run highly productive. 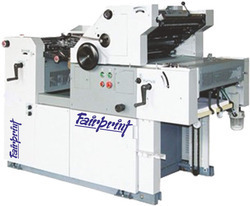 Fairprint Sheetfed Offset Printing Machine are widely appreciated and recognized for their high quality, reliability, efficiency and economy in India and Worldwide. This provides Best Value for Money to offset printers entering into offset printing work with low budget. 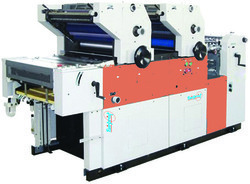 We are leading manufacturers, suppliers and exporters of Multi Color Sheet fed Offset Printing Machines in India. Our product range consists of Sheetfed Offset Printing presses Sheetfed Printing Machines ( in single, both side, 2C Satellite, double, 3 4 color) which gives enormous flexibility to print sheets/ non-woven bags of small big sizes as per the requirements. Fairprint 2 Color Satellite Printing Machine is a Break thru’ Innovative Design to deliver Latent needs of Global Consumers for double color printing at very low investment. 2 Color SatellitePrinting Machine is highly compact as second printing unit is mounted on single color offset just before the 1st printing unit. This consumes less power as well. Fairprint 2 Color Satellite is a Break thru’ Innovative Design to deliver Latent needs of Global Consumers for double color printing at very low investment. 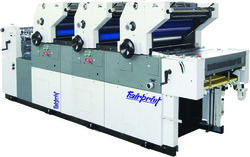 2 Color Satellite is highly compact as second printing unit is mounted on single color offset just before the 1st printing unit. This consumes less power as well. Sheetfed press provides various options to printers for printing of Calendar, books, stationary, Non-woven Bags, Non-Woven Fabric sheets similar applications. This is easy to run highly productive. 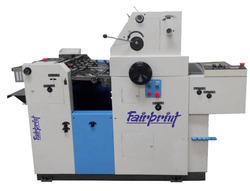 Fairprint Sheetfed press are widely appreciated and recognized for their high quality, reliability, efficiency and economy in India and Worldwide. This provides Best Value for Money to offset printers entering into offset printing work with low budget. 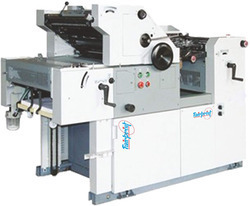 We are leading manufacturers, suppliers and exporters of Multi Color Sheet fed Offset Printing Machines in India. 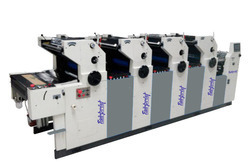 Our product range consists of Sheetfed Offset Printing presses Sheetfed Printing Machines ( in single, both side, 2C Satellite, double, 3 4 color) which gives enormous flexibility to print sheets/ non-woven bags of small big sizes as per the requirements. Sheetfed Printing Press provides various options to printers for printing of Calendar, books, stationary, Non-woven Bags, Non-Woven Fabric sheets similar applications. This is easy to run highly productive. Fairprint 2 Color Printing Machine is a Break thru’ Innovative Design to deliver Latent needs of Global Consumers for double color printing at very low investment. 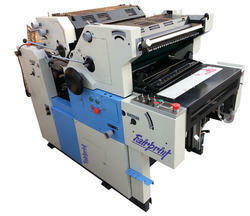 2 Color Printing Machine is compact design and consumes low power as well. Fairprint 2 Color Offset Printing Machine is a Break thru’ Innovative Design to deliver Latent needs of Global Consumers for double color printing at very low investment. 2 Color Offset Printing Machine is compact design and consumes low power as well. 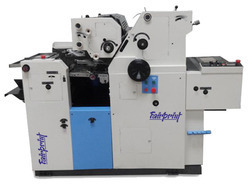 Fairprint 2 Color Satellite Offset Printing Machine is a Break thru’ Innovative Design to deliver Latent needs of Global Consumers for double color printing at very low investment. 2 Color SatelliteOffset Printing Machine is highly compact as second printing unit is mounted on single color offset just before the 1st printing unit. This consumes less power as well. Fairprint 2 Color Satellite Offset is a Break thru’ Innovative Design to deliver Latent needs of Global Consumers for double color printing at very low investment. 2 Color Satellite Offset is highly compact as second printing unit is mounted on single color offset just before the 1st printing unit. This consumes less power as well. 3 Color Offset Printing Machine by Fairprint are the perfect solution for high quality, three color multi-color, short and medium run jobs. 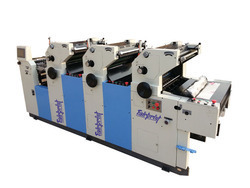 3 Color Offset Printing Machine is compact design and energy efficient. This 3 Color Offset Printing Machine is economical for printing 3 Color Non-woven Bags, 3 Color Non-Woven Fabric sheets paper etc. 3 Color Printing Machine by Fairprint are the perfect solution for high quality, three color multi-color, short and medium run jobs. 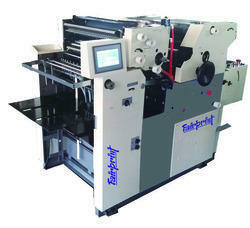 3 Color Printing Machine is compact design and energy efficient. This 3 Color Printing Machine is economical for printing 3 Color Non-woven Bags, 3 Color Non-Woven Fabric sheets paper etc. 4 Color Printing Machine is Break thru’ Innovative Design to deliver Latent needs of worldwide Consumers for multi-color printing at optimal investment. This 4 Color Printing Machine is good for printing calendar, books, stationary, four Color Non-woven Bags, four Color Non-Woven Fabric sheets similar applications. This gives good printing registration and excellent printing. This is easy to run highly productive.